← Friday Follies: Bunch of Hippies! I’m traveling today so I don’t have time to say much of anything. However, I do have two pictures of GRB for you to marvel at. The first seems to have been taken around the time the building was completed, which if I recall correctly was about 1991. 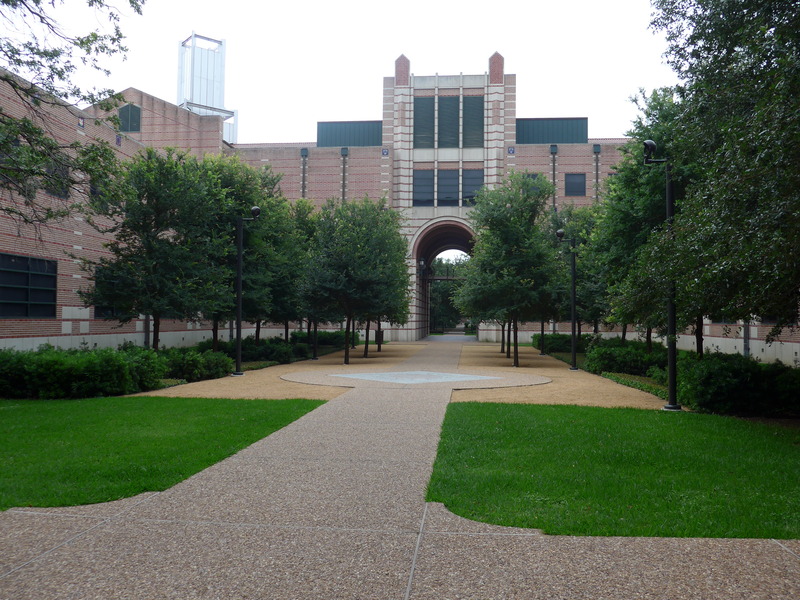 I recently read some of the very high flown prose that issued forth upon the opening of GRB and was interested to learn that it was envisioned as a sort of intellectual bridge (in addition to a physical one) between the Chemistry Building and the Biology Building. I suspect that notion was conceived ex post facto, but maybe not. Either way, it had never occurred to me and I think it’s clever. The original drawing published in the Thresher (fall 1987 I think) lacked the sallyport. 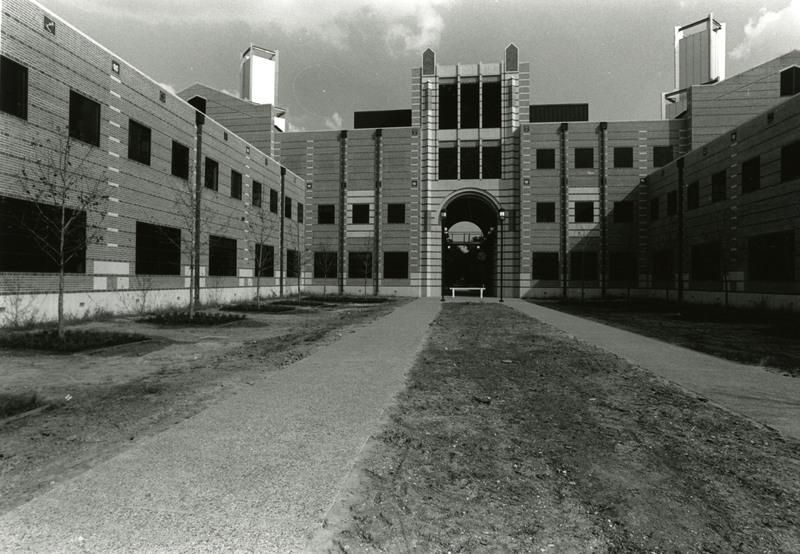 The Brown Hall sallyport is visible in the artist’s conception published on the front page of the Dec. 2, 1988, Thresher announcing the beginning of fund raising for this and the Alice Pratt Brown Hall. The Feb. 26, 1988, Thresher had an article on page 5 that announced plans for the buidling. The architect was announced, but no images were published. The trees have done very well!